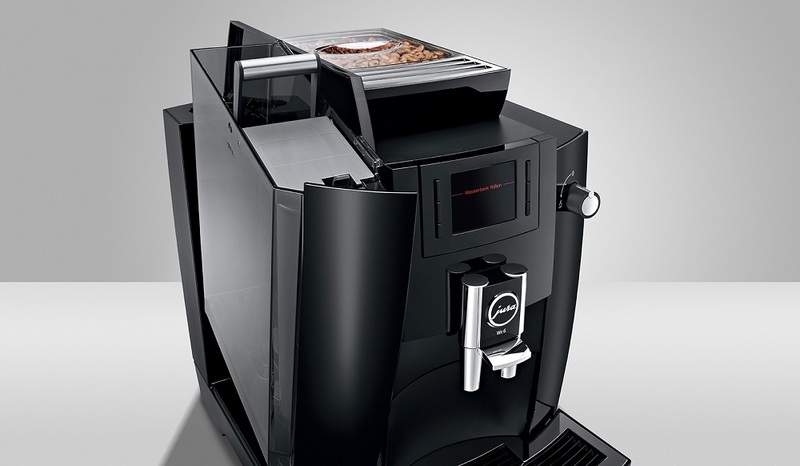 The latest Jura bean to cup machine for commercial sites with a daily coffee demand of up to 30 drinks. WE6 offers an easy to use one-touch operation for perfect coffee drinks. A water tank with a 3Ltr holding capacity, a bean container for 500g of beans and a coffee grounds container with a capacity of 25 portions make the elegant professional coffee machine the ideal solution for locations where around 8 peciality coffees are consumed per day. TFT screen – The Jura WE is very easy to use thanks to its clearly structured navigational menu, displayed on a clear 3.5” TFT screen and simple push button operation.